Added with a simple tool that create portable environment anywhere for uTorrent. 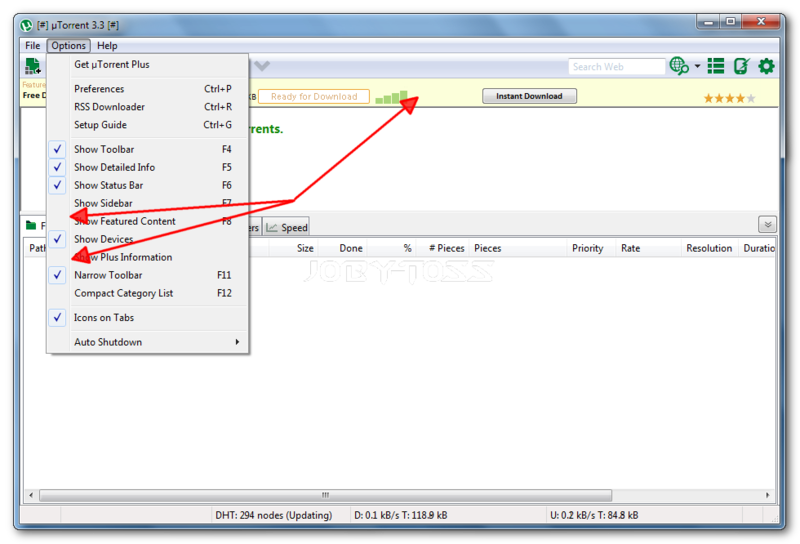 It creates a new virtual drive, so, uTorrent would have fixed full path for resume download. - webui plugin, in http://computeraddress:2292/gui. How to install game after it is downloaded in Utorrent? I just finished downloading lego racers 2 in Utorrent. When I double click on the downloaded file, it say Open with. I tried openning it with different programs including Daemon Tools, but it didn't work. Can someone please help me. Last edited by bennifera on Fri May 14, 2010 9:41 pm, edited 1 time in total. Entry updated with updated screenshot and adware status. So...it's adware now?! Still happy with my 1.8.2 version. The ads can be easily disabled and it still works like it used to. No need to make a huge fuss over it. Userfriendly wrote: The ads can be easily disabled and it still works like it used to. No need to make a huge fuss over it. Wasn't aware a huge fuss had been made. Anyhow, didn't know ads could be disabled so entry updated. Nah, there wasn't any fussing going on. I was just preemptively saying that there shouldn't be any complaining about it. I've seen it happen many times about utorrent in many other places from people who don't like to tinker with the options or even try the software at all. I tend to facepalm a lot in situations like that. Time spent complaining on forums could have been used to look in the options menu to customize stuff. I tested v3.3.29126 and I did disable those 2 settings, but I still have a toolbar showing (I did restart the application). On another machine I used the latest PAc version and same thing happens. I see that JTH also had enough and switched to qBittorrent. Its in the advanced options. Toggle all these settings to 'false'. Hey, it does work! Thanks! Thanks for all the excellent info, people. BTW, just for copy pasta's sake, that registry key translates to 'HKCU\software\BitTorrent\uTorrent', right? Yep, its [HKEY_CURRENT_USER\Software\BitTorrent\uTorrent]. Utorrent also seems to add itself to the uninstall program list on first run every time I upgrade to a newer build version. But it does not create the uninstall info when I run it with a blank settings.dat file. Could be a bug or a feature, who knows. These are harmless registry entries and can be ignored but utorrent is definitely not stealth. Thanks, Userfriendly. The reg key gets recreated every time uTorrent is run, even if one deletes it manually. Since I haven't requested any torrents yet, those are mostly certainly adware related, right? You can also open up the .btapp files and inside will be a btapp file with no extension which contains some settings. You can blank out those update_urls if you're super paranoid. Again these settings are probably just leftovers from the Apps feature and probably don't really do anything.